Should we silence the Day of Silence? This is a similar post to one I did in 2008. I feel even more passionate about it then I did then. Yesterday, an email was forwarded to me encouraging the boycotting of the April 17th Day of Silence and I want to offer my perspective for consideration. For those of you who don’t know, the Day of Silence is a national day of action in which students across the country vow to be silent all day to call attention to the silencing effect of anti-LGBT bullying and harassment in schools. It is sponsored by GLSEN. 1. Write letters to principals asking if students will be allowed to be silent on April 17th. 3. [if affirmative] Demand every parent in the school be sent a letter explaining what is being allowed and that GLSEN is behind it. They are calling it the “Day of Silence Walk Out.” You can read about it yourself here. To me, this is a knee-jerk reaction that does far more damage than it does good. Here are six reasons why I think this reaction is bad for our cause. First, these Christian organizations are ignoring the clearly-articulated purpose of this student-led event and are reacting to assumed motives about GLSEN’s agenda. I believe we must base our response on the event’s stated purpose, not our assumptions or interpolations. To do otherwise makes us look like fear-mongering, paranoid, over-reacting, extremists, who don’t understand plain English. To put it in perspective, suppose atheists did the same thing with our event, “See You At The Pole”. Every participating Christian student knows that the event’s purpose is simply to pray for our schools. What if atheist organizational leaders sent emails to their constituencies and the principals claiming that despite the stated goals SYATP is really “a day for Evangelical Right-Wingers to proselytize our campuses, cramming the Bible down our impressionable children’s throats and trying to make Southern Baptists out of our kids.” Would that be fair? No. Similarly, we need to react to this event on its own and not engage in an unnecessary battle. Second, one of the key justifications for the DOS protest is that students who are silent on that day will cause a big disruption to education. Really? Does this mean that students with laryngitis or who are mute are also a major disruption to education? This seems like a cheap-shot. How much of a hindrance to education could this be anyways? Quieter classrooms with less chatter and wise-cracks might actually be better learning environments! What about letting the “free market” system do what it does best. If education is actually hindered, let each school or classroom make its own guidelines accordingly. Pressing for universal rules to address theoretical obstacles seems like a poor use of energy. Third, how is keeping our kids home on that day not a disruption to education ten times worse than students not speaking? Think about how hypocritical this sounds: If you don’t prevent the disruption of education, we’re going to disrupt education. Good plan. Plus, consider that the parents who keep their kids out of school are causing their own kids to fall behind. That’s helpful. Using my SYATP illustration again, what if the response of atheist parents to our event was to keep their kids out of school on this day because it restricts traffic flow near the flagpole (thus hindering education) and so their kids won’t be exposed to Christian propaganda. What if they got all worked up because schools allow this event to happen and complain that some teachers even stand at the pole in support of this Christian bigotry. If the atheists responded to SYATP like that, we’d think: “How lame. What’s wrong with these people? What an overreaction. Get a life!” etc. Fourth, think about how foolish this “Walk Out” action item sounds: [Ask the principals:] “Will you be permitting students to refuse to speak in class on the Day of Silence?” Seriously, we’re asking the schools if they’ll allow students to refuse to speak. What, are we now going to start forcing students to speak? Is that really the solution? Fifth, the idea that creating a low turnout attendance day will hit the schools in the pocketbook and result in less favor towards homosexuality and more favor toward heterosexuality is unlikely. It will far more likely create a distaste for Christians right-wingers who use such tactics to try to strong-arm the school systems. Sixth, the argument that we need to keep our kids from being exposed to homosexual indoctrination on this day would be more believable if the participants weren’t being silent all day! Their only communication will be to be hand out cards saying “Please understand my reasons for not speaking today. I am participating in the Day of Silence (DOS), a national youth movement bringing attention to the silence faced by lesbian, gay, bisexual and transgender people and their allies. My deliberate silence echoes that silence, which is caused by anti-LGBT bullying, name-calling and harassment. I believe that ending the silence is the first step toward building awareness and making a commitment to address these injustices.” I have no problem exposing my kids to that message. In fact, I agree with it completely. My opinion is that this DOS Walk Out idea is just plain silly and actually counterproductive. Though I completely disagree with GLSEN about the morality of homosexual behavior I think a better response is needed. Instead of pressuring principals or keeping kids at home, how about trying to figure out what being like Jesus would look like in this situation. I don’t presume that my suggestions below will change everyone’s minds and hearts — only God can do that. But we are called to speak the truth in love like Jesus did, so my suggestions below are an attempt to do that. 1. Talk about the event with your family and friends so you’re properly informed and prepared to respond constructively. 2. Use whatever publicity this day generates as an opportunity to build a bridge rather than a wall. We can agree wholeheartedly that harassment, name calling, and bullying are deplorable—whether about race, religious affiliation or sexual preference. 3. Since those participating in the Day of Silence won’t be talking, it might be a great opportunity to talk to them! Express appreciation for their stand against harassment and use the opportunity to love them and affirm something good about them, perhaps shattering some stereotypes about Christians. Ensure them that though you may disagree with the morality of homosexual behavior, you promise to never harass, bully, or name-call anyone who has different views on this topic. Perhaps offer to have some discussion (after the silence ends!) about each other’s perspective on the whole homosexuality issue. Create understanding, not animosity. 5. Be thankful they’ve chosen a Day of Silence instead of a Day of Screaming! BELOW IS THE UNEDITED EMAIL THAT WAS FORWARDED TO ME FROM CONCERNED WOMEN FOR AMERICA, IOWA:. 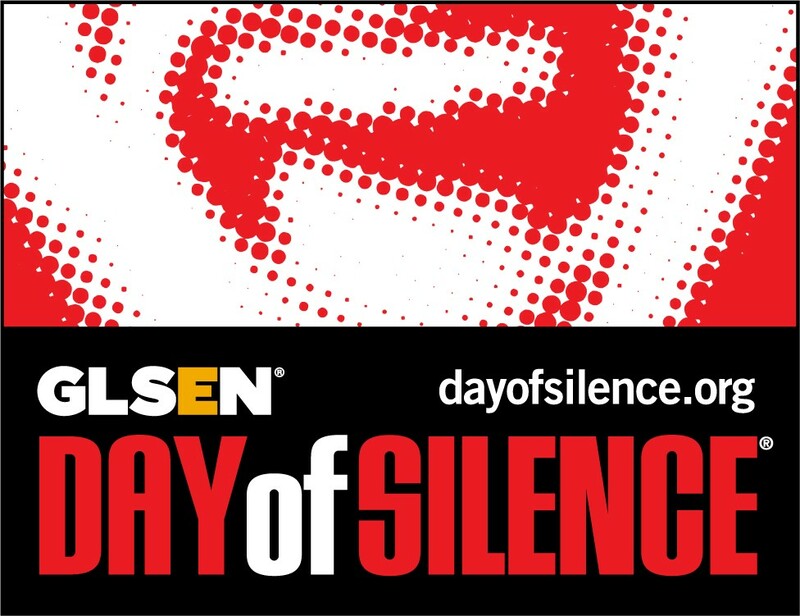 Silence the Day of Silence by participating in the ‘Day of Silence’ Walk Out.The Day of Silence, organized and promoted by the Gay, Lesbian and Straight Education Network (GLSEN), takes place this year on Friday, April 17. The Day of Silence is the king of all the numerous homosexuality-affirming activities that take place in public schools. It started in one university and then, like a cancer, metastasized to thousands of high schools and then into middle schools. Before long it will take place in elementary schools. Leftists know that it’s easier to indoctrinate 16-year-olds than 36-year-olds and easier still to indoctrinate 6-year-olds. 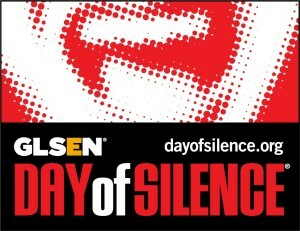 CWA of Iowa has endorsed the ‘Day of Silence’ Walk Out. You CAN be a friend to your kid.